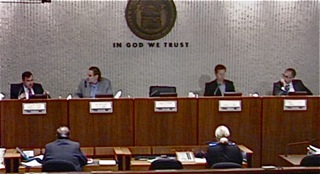 The Costa Mesa Planning Commission met again Monday night although Chairman Rob Dickson was absent so Vice Chair Jeff Mathews conducted the meeting. 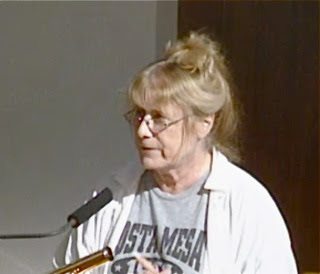 During Public Comments Beth Refakes reminded everyone that the Military Affairs Team is accepting donations of cocktail dresses, ball gowns, and accessories for the wives of the 1/5 Marines. Donations may be dropped off in the City Hall lobby. She also expressed concern about the blocking of the right-most northbound lane on Harbor Blvd. between Newport Blvd. and 19th Street and asked for someone to investigate it. An unidentified person drew the commission's attention to a Daily Pilot article by Laurene Keane. She also expressed concern about our "stack-a-shack" building. She also addressed her concern about the relationship between the operator of Yellowstone Recovery, the pastor at the Episcopal church at Bay Street and Orange and lame duck councilman Gary Monahan. She stated that the neighbors are concerned that there may be a scheme to put a sober living facility at that site. 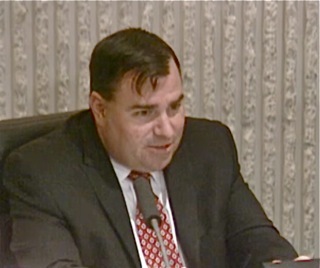 During Commissioner Comments Colin McCarthy expressed the view that folks should attend the Orange County Fair and also support local businesses. Stephan Andranian thanked Refakes for all the good work she does with the Military Affairs Team, and for her frequent updates. Commissioner Tim Sesler and Vice Chair Mathews had no comments. 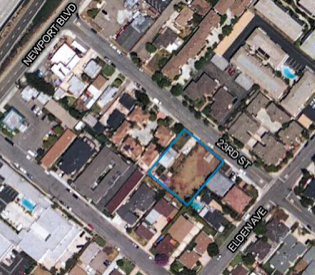 Public Hearing #1 is the small lot subdivision for four units at 127 23rd Street. It's pretty straightforward, with no variances. Three members of the public spoke and expressed concern about overflow parking. This project will be conditioned to require parking in the garages. McCarthy affirmed that it meets all requirements. The commission approved it, 4-0, in very short order. Public Hearing #2 is the removal of a 30-year-old public storage facility directly adjacent to the Newport Mesa Unified School District Headquarters. The property in question is at 929 Baker Street and was zoned for Medium Density Residential many years ago . The plan is to replace the storage facility with a common interest development with 56 detached homes. Although this project requested some deviations, it exceeds the parking requirements. It included a 1 acre private park. One of the deviations requested is a reduction in the setback adjacent to the Paularino Channel, from the required 20 feet to 12 feet. They also requested a reduction of space between units in order to provide more common open space, and that space should be 40% but they are requesting 39.5% to accommodate the additional 13 parking spaces. The density of this project meets code. 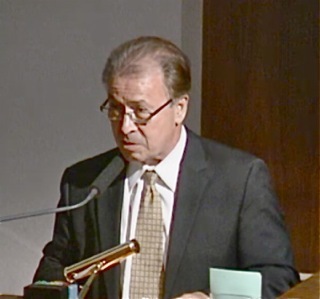 Former senior city staffer Peter Naghavi represented the developer. Transportation Services Manager Raja Sethuraman addressed the trips into and out of the project. There will be an increase of more than 300 daily trips over the current use. 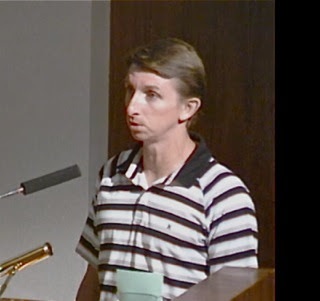 He addressed the issue of traffic flow into and out of - no left turns would be permitted out of the project. He also addressed the resident-only permit parking petition submitted by the neighboring street - Milbro. That petition will be heard by the City Council in September. The project will NOT be a gated community. Eight members of the public spoke on this issue and most of the concerns involved overflow parking and the possibility of the extension of Post Road into this project site. Several agreed that this use would improve the neighborhood. Rick Huffman reminded the commission that this project would NOT trigger a vote of the people under the Smart Growth Initiative. 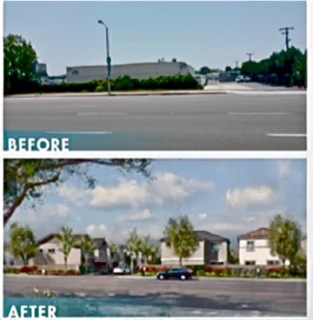 Others, including Milbro resident Brian Valles, expressed concern about traffic flows, the loss of privacy and shade as existing trees are removed. He wrote a lengthy letter to the commission outlining his concerns. After a short discussion the commission approved this project as conditioned on a 4-0 vote. Sethuraman addressed Refakes concerned about the loss of a lane at The Triangle on Harbor. He affirmed that it is currently permitted on certain nights of the week from 7 p.m. - 1a.m. for taxi/uber pickup. He will investigate. This isn't the worst project I've seen them approve. I bet they sell faster than the "stack a shacks" they keep approving. I have to wonder though, when are we going to get some businesses in town? If we keep this up, we will have no space for any sort of industry and we will be merely a very disorganized bunch of residences with no jobs in town. 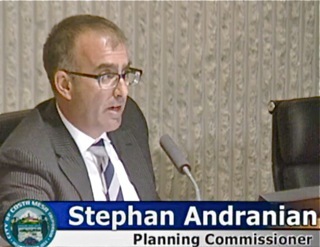 "It is FURTHER RESOLVED that there will no longer be formal Planning Commission meetings. Whenever more development and traffic is desired, the word "JAWOHL" shall be automatically entered into the record." "...we will be merely a very disorganized bunch of residences with no jobs in town." Since JimSteve wants to save the city money by outsourcing and cutting city jobs, why not start with the planning commission. They rubber stamp just about everything and controversial projects end up at the council. Eliminate the planning commission and eliminate their stipends and benefits (which cost more than the stipends). mccathy supporting local businesses is like riggy claiming that's his real hair color. The artist rendering looks nice, but whoever did it forgot to include all the cars parked bumper to bumper along the curb. City Clerk and Registrar of Voters Sued!